Walking through Lent the Church gives us key glimpses, that is, tastes through the liturgical narrative leading to Pascha (Easter). 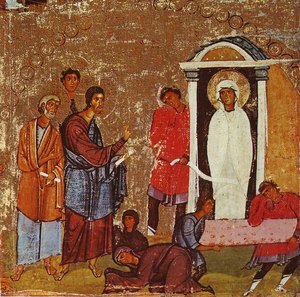 The icon shows Lazarus being untied of his burial shroud. In fact, this metaphor of being untied is key: the crucified and risen Lord unties us of our sin to live in freedom. 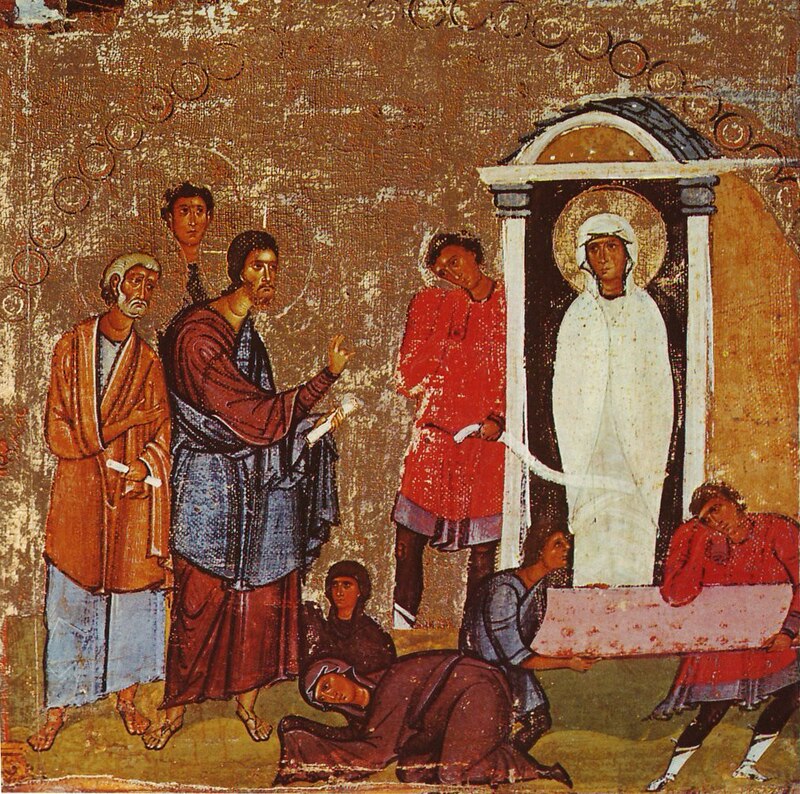 Holy Saturday is one of the mis-understood days the sacred Triduum. As a church body, we just don’t have a firm grasp of what Mother Church has to say and experience. Several theologians, for example, Popes John Paul and Benedict, Hans Urs von Balthasar and Richard John Neuhaus have all tried to focus our attention on what God has done for us on Holy Saturday. Father Alexander Schmemann, an orthodox liturgical theologian and priest, is one of my favorite liturgical authors. Sadly, he died of cancer many years ago, but his work continues to bear much fruit, as I hope you will appreciate by reading the following entry. Since today is Holy Saturday for the Orthodox Church, I am offering for our meditation (a review?) the events of our salvation. Holy Saturday is a neglected day in parish life. Few people attend the Services. Popular piety usually reduces Holy Week to one day–Holy Friday. This day is quickly replaced by another–Easter Sunday. Christ is dead and then suddenly alive. Great sorrow is suddenly replaced by great joy. In such a scheme Holy Saturday is lost. In the meantime, New Haven’s Greek Orthodox community is small yet lively at Saint Basil’s Church. 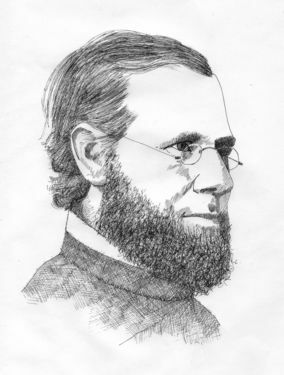 Connecticut has a rich history of Eastern Christianity, one that still needs to be told and appreciated. Ed Stannard of The New Haven Register wrote a story on the festivity and hope of Saint Basil’s. Today, we are observing the 5th Sunday of Easter (John 13:31-35).